Maple Lake is located in northwest Minnesota, 2 miles south of Mentor in Polk County. It is located close to larger populations and is very convenient for residents and visitors to travel 1 hour or less to enjoy the lake for the day or weekend. Maple Lake is approximately 1641 sq. acres and around 14 feet deep, and the nearly 20 miles of shoreline are populated with about 630 homes, public beaches and resorts. The lake is popular for recreational watersports and fishing with commonly caught fish such as, Walleye, Northern Pike, Largemouth Bass, Crappie, Sunfish, Perch and Bullheads, among others. In the 1930’s the lake nearly dried up and beginning in 1940, a project involving the diversion of water from nearby Badger Lake and the Poplar River raised the lake to its current level. This rejuvenated the resort industry and the lake remains a popular summer home for many and recreational area for visitors. 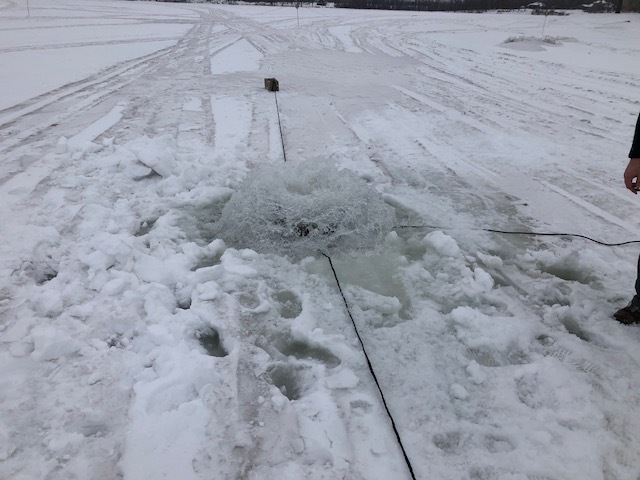 Some of the MLID board members installed the aerator on Saturday, 1/12/19 on the Maple Bay end of the lake. This aerator will ensure that the oxygen remains at a safe level throughout the remainder of the winter. A new directory will be coming out in the spring of 2019. 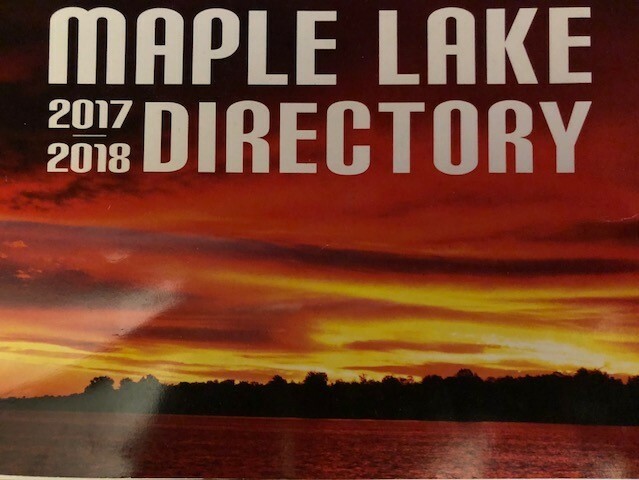 If you know of any changes that need to be made since the 2017-2018 Directory was printed please contact the board by emailing info@maplelakedistrict.com , or call Bonnie Abel at 218-574-2010.